Thanks Jon. Great Yelp review! While it’s not inexpensive, the price was extremely reasonable for the quality and service we experienced. Definitely looking forward to going back. 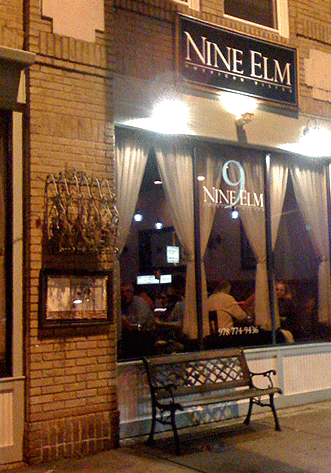 I’ve eaten at 9 Elm in Danvers twice and enjoyed the food and the atmosphere on both occasions. 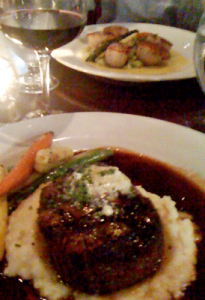 The servers were exceptional and the chef/owner took time to greet us personally. Delicious menu, friendly people! I will definitely go again. Lat 43 in Gloucester has a great and diverse menu from local seafood to Sushi. I’ve never been disappointed! Have to say the Old Spot in Salem is our favorite for an early Sunday dinner. The kids love the burgers, and there are always great specials. It is a great way to wind up a weekend togethre as a family. Yes! Finally someone writes about peliculas de miedo.